Today we stopped in Las Vegas. We stayed at a casino called New York New York. The casino looked exactly like our last stop, but the Empire State Building was a little smaller. 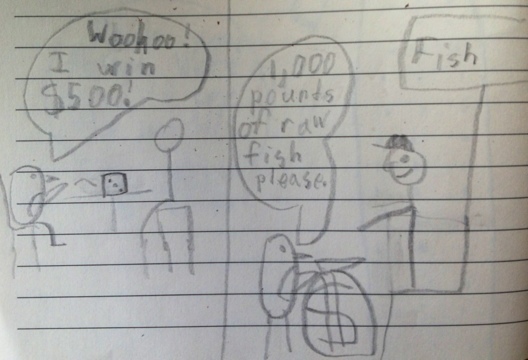 Frank made a ton of money gambling and spent all of it on raw fish.